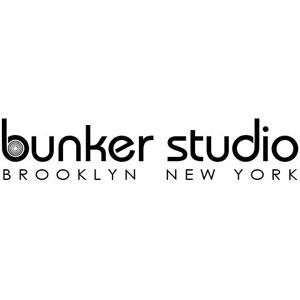 The Bunker Studio B's control room has natural light from two high windows behind the console. It's always nice to be able to look out and see what time of day it is! We placed the console further back in the room to enable vocal or instrumental tracking in the front of the control with isolation from the live room. With this arrangement the room has hosted a surprising range of tracking sessions from full rock/indie bands, bluegrass groups, horn sections to chamber ensembles. Studio B is also an excellent choice as a production and writing room. The live room is only a few steps away to record an idea quickly, and projects often move from Studio A which hosts full band tracking to B for overdubs, vocals and the fun stuff. With the Yamaha upright piano, Hammond M3 organ, Farfisa and collection of analog synths B has everything necessary for full production sessions. The Neve 8058 plus a choice selection of outboard compressors, FX and a PT HD2 rig makes B a great mix room.